Acquisition of the Entire Vast Estate. A year after the death of Ellamae Storrier Stearns in 1949, the vast Storrier Stearns property was sold at auction. 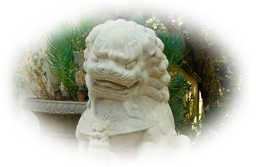 Gamelia Haddad Poulsen, a dealer in art and antiques and owner of Poulsen’s Gallery on San Pasqual Street in Pasadena, attended the auction for the Storrier Stearns estate. She was hoping only to buy two Louis XV chairs. However, when she realized that no one was bidding on the whole property, only on different pieces of it, she impulsively made a bid. To her amazement she ended up as the owner of the entire estate. 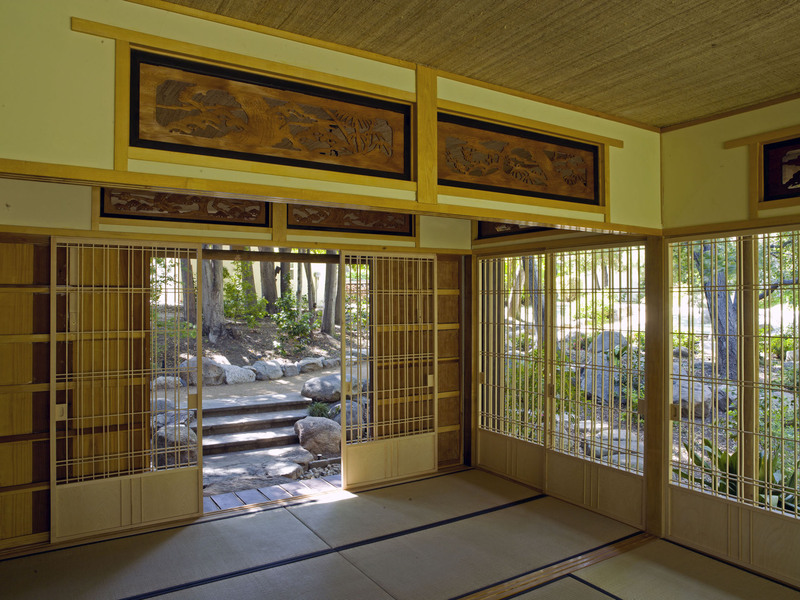 She sold most of the estate over several years after the City of Pasadena denied her request to move her gallery into the mansion, but retained the Japanese garden and a lot on which to build a house for herself and her family. The mansion was also eventually sold and dismantled for reuse elsewhere. One room is now part of the Pacific Asia Museum. In 1975 Caltrans used eminent domain to seize a strip of property on the easternmost side of the garden for use in building the extension of the 710 freeway. An easement was also taken, since expired, to create an access road for trucks to use during the future construction of the freeway. It would have sliced directly through the middle of the garden. 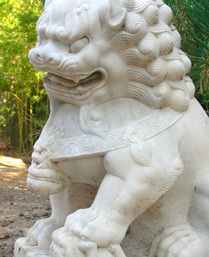 Believing that the garden was lost, Gamelia let it gradually fall into disrepair and sold off some of the valuable artifacts. The final blow came when the teahouse burned down under mysterious circumstances in 1981. Gamelia died in 1985 at which time the garden ownership passed to her son and daughter-in-law, Jim and Connie Haddad, in who’s hands it remains today. Current Owners Lovingly Restored the Garden to Its Former Beauty. After the death of Gamelia Haddad Poulsen, the garden continued to languish until 1990, when Jim Haddad and his wife Connie decided to restore the garden to its former state for historical and cultural reasons as well as to honor his mother Gamelia’s memory. 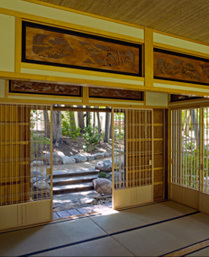 Progress was slow through 2005 until Dr. Takeo Uesugi, professor emeritus of landscape design at Cal-Poly Pomona and one of the leading experts on Japanese garden design in the United States, undertook the management of the garden restoration. To ensure the restoration was accurate, the Haddads and Uesugi followed Kinzuchi Fujii’s original plans, documents and photographs taken during its first construction. On February 15, 2005, the restored garden was placed on the National Register of Historic Places and listed as a California Historical Landmark on the California Register of Historic places. Additionally, the garden was recently awarded a Historic Preservation Award, in a ceremony in the garden, by the City of Pasadena. Managed the recent restoration of the Storrier Stearns Japanese Garden using Kinzuchi Fujii’s original plans, documents and photographs. 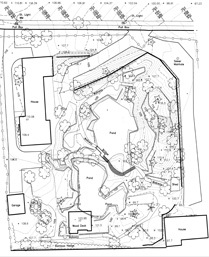 Dr. Takeo Uesugi, an accomplished landscape architect and designer, worked closely with the current owners, Jim and Connie Haddad, to faithfully restore the garden to its original opulence. 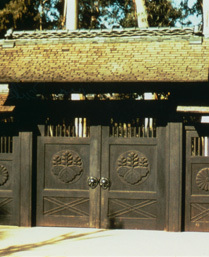 Without Uesugi’s help and guidance the Haddads would not have come close to the magnificent level of quality, both in design and workmanship, that he so masterfully achieved. Dr. Takeo Uesugi was the president of his own landscape design firm and as a professor emeritus in landscape architecture at Cal Poly Pomona’s College of Environmental Design he helped establish an exchange program with Kyushu University. 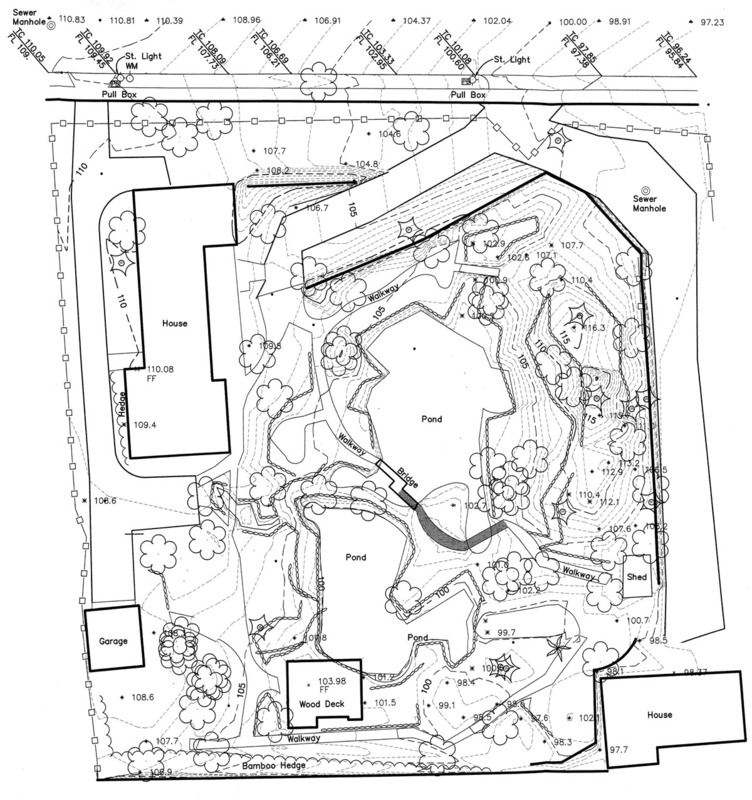 These plans were produced for the construction of Gamelia’s new family home on the remaining property. Sold to the City of San Diego once the garden was considered lost due to the Caltrans eminent domain seizure. 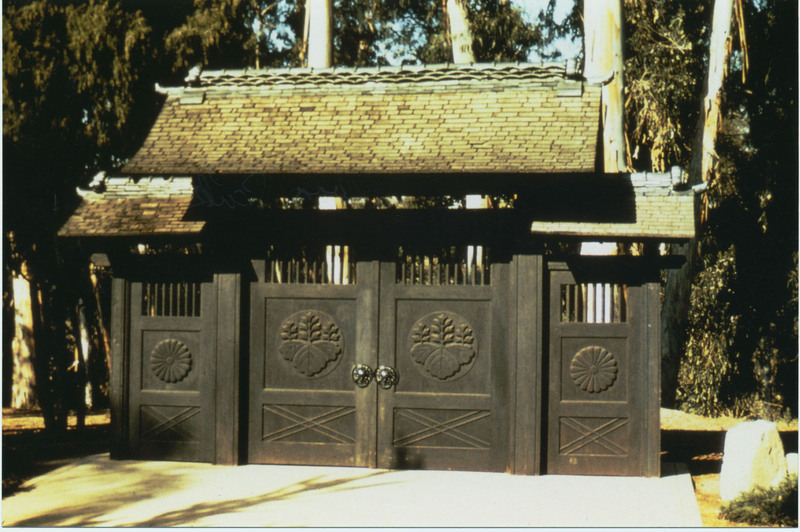 The gates are now located at the Japanese Garden at the Friendship Garden at Balboa Park. 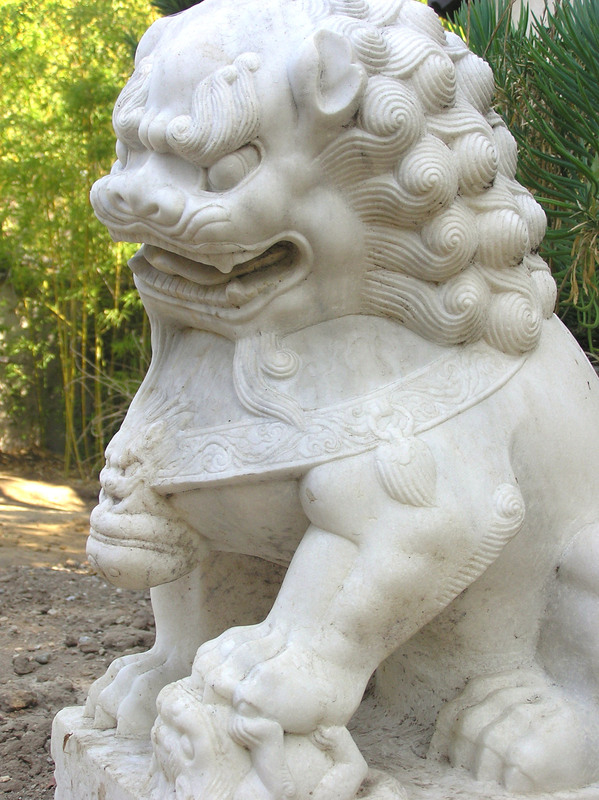 The originals are at the Huntington Library and Botanical Garden. Others from the same period (pictured here) were purchased from the Grace Nicholson estate. Meticulously reconstructed using Kinzuchi Fujii’s original drawings and historic photographs.